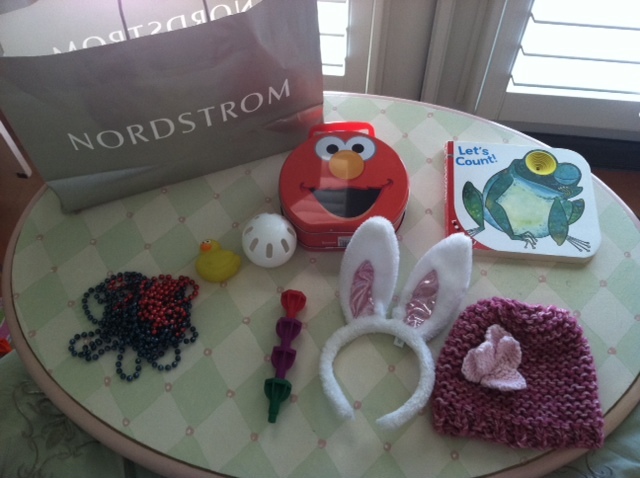 This week’s bag of choice was a Nordstrom bag – momma has taught her girl well. In addition to the contents listed below, my car keys and my flip flops were included. However they were removed prior to the picture being taken because I was so relieved to have found them.